Bruce Barrickman, Bill Allred and Scott Young have been insurance and business defense litigators all of their careers. In 1999, they formed Barrickman, Allred & Young, LLC, and since then the firm has serviced a large array of insurers and self-insureds. We spend equal time defending insureds in civil law suits and providing contract and coverage opinions and advice to our insurer and corporate clients. We defend insurers in claims alleging extra contractual liability. Our insured clients range from individuals involved in auto wrecks, to food and retail outlets in slip and fall cases, to large corporations sued in personal injury and contracts claims. We defend officers and directors of corporations and insurance agents and brokers. We protect and defend homeowners and condominium owners associations. 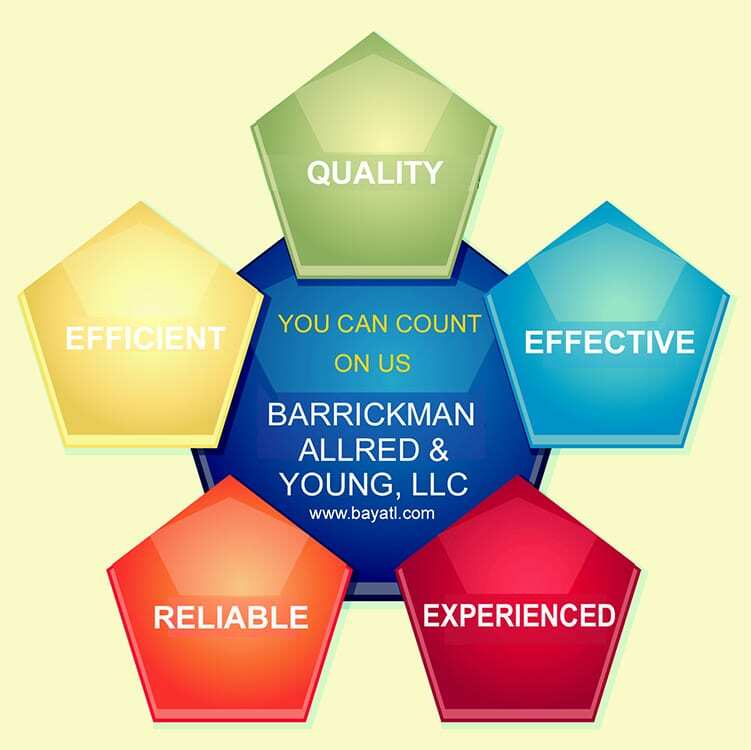 Barrickman, Allred & Young, LLC" We serve our clients’ interests in the state and federal courts of Georgia and throughout the Southeastern United States. The three partners have over 100 years of combined experience in the area of civil litigation, and we have tried more than 250 jury trials. We are confident that we can provide all of our current and future clients with the quality legal representation they need and expect. We look forward to the continued mutually beneficial relationship we have with our current clients and look forward to developing the same type of relationship with our future clients. © 2018, Barrickman, Allred & Young, LLC. All Rights Reserved.